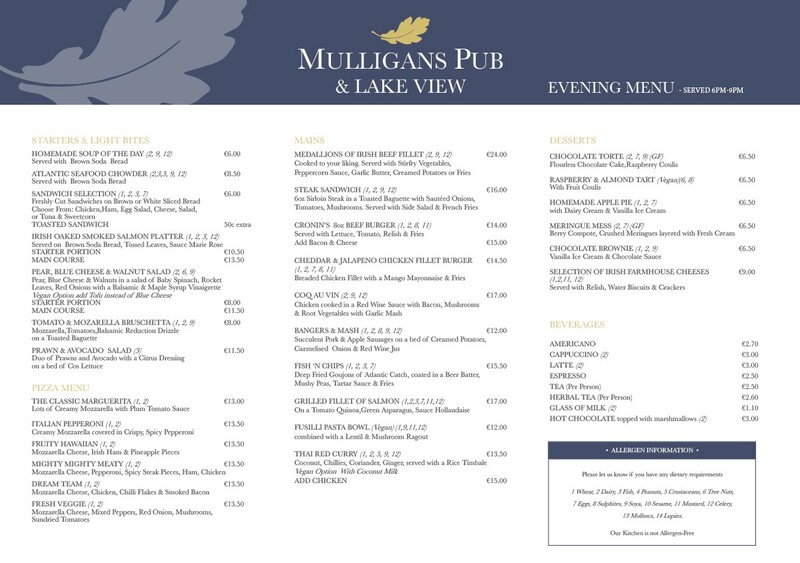 With its vibrant and relaxing décor, mouth-watering menu and enviable views of the Lower Lake, Mulligans Bar & Lake View, promises a unique and memorable experience. 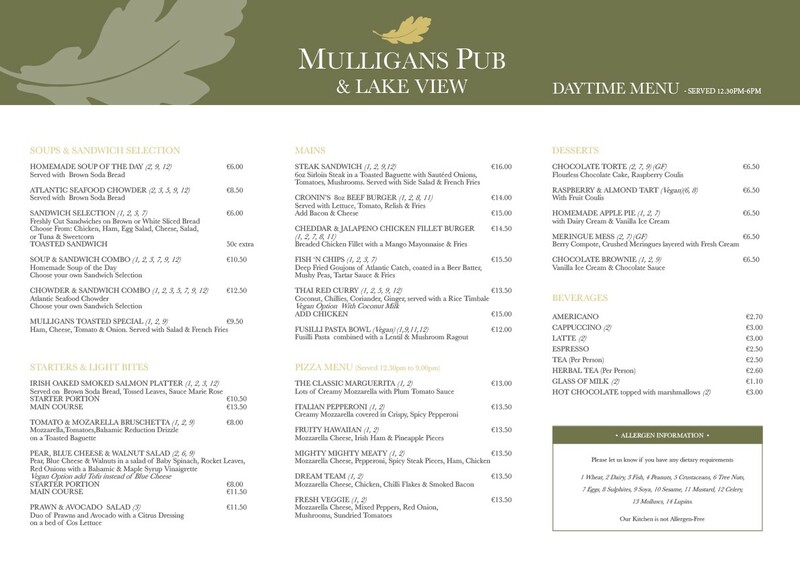 Whether it’s a quiet drink by the bar, a leisurely lunch overlooking the rolling Kerry mountain slopes or a coffee over a read of the morning paper, the options are endless. Choose from our exciting menus for daytime and evening which offers a variety of dishes for all tastes. Traditional platters such as our beer battered fish & chips to popular classics like our family butcher Tommy Cronin’s 8oz beef burger. Our menus also include family favourites like our delicious stone-based pizzas. 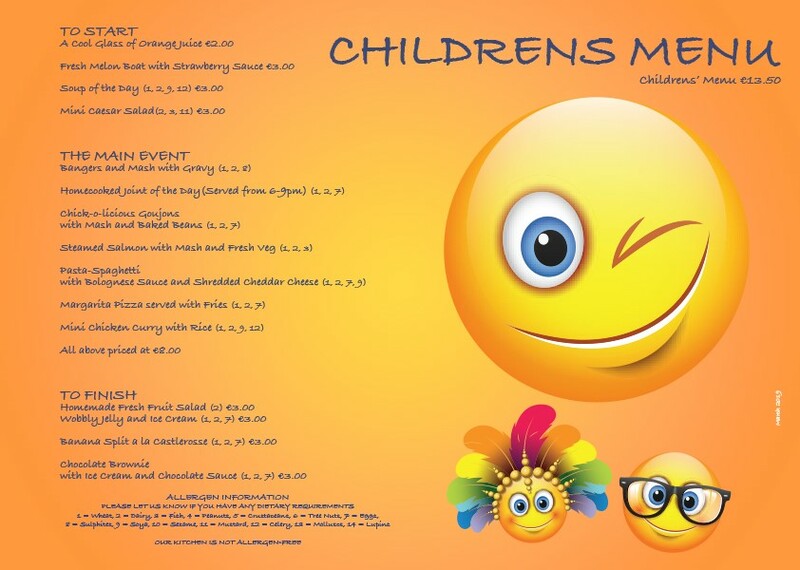 Bar food is served from 12.30pm to 9.00pm daily where we also have a full children’s menu available. Nightly entertainment with local musicians also creates the perfect atmosphere to enjoy a drink or two from our extensive range of Irish Whiskies, classic Gins, Stouts and international and local Beers as well as our tantalizing cocktail menu.